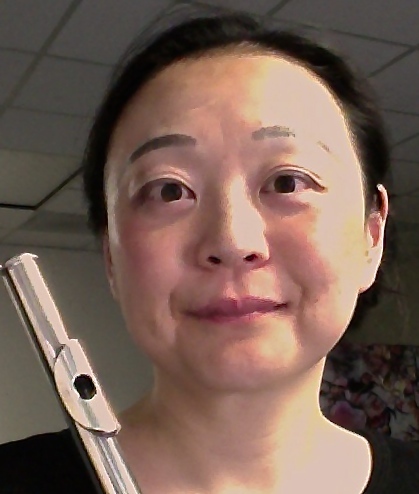 Ms. Yukiko Matsumoto, BM in Flute Performance, has studied with Isabelle Chapuis-Starr whose musical inheritance includes the legendary flute virtuosi, such as Marcel Moyse and Jean-Pierre Rampal. Ms. Yukiko has been accredited by the Western Association of Schools and Colleges, as well as an active member of the Music Teachers’ Association of California. Ms. Yukiko has been teaching in the SF Bay Area for more than two decades and her accomplishments on the students' progress/results are well-established over the years with the Honors and Competition winners. She is very versatile to all ages and levels, and is always ready to adapt to every and all situations: from very young beginners and “just because” to highly-motivated High-Schoolers with the results-oriented minds. She can be very funny and friendly as well as very organized and strategic to achieve the goals. Ms. Yukiko also has been actively performing throughout the Bay Area, appeared in the San Francisco Grace Cathedral Recital Series, and the numerous concerts with Saratoga Symphony, as well as the private and corporate events.